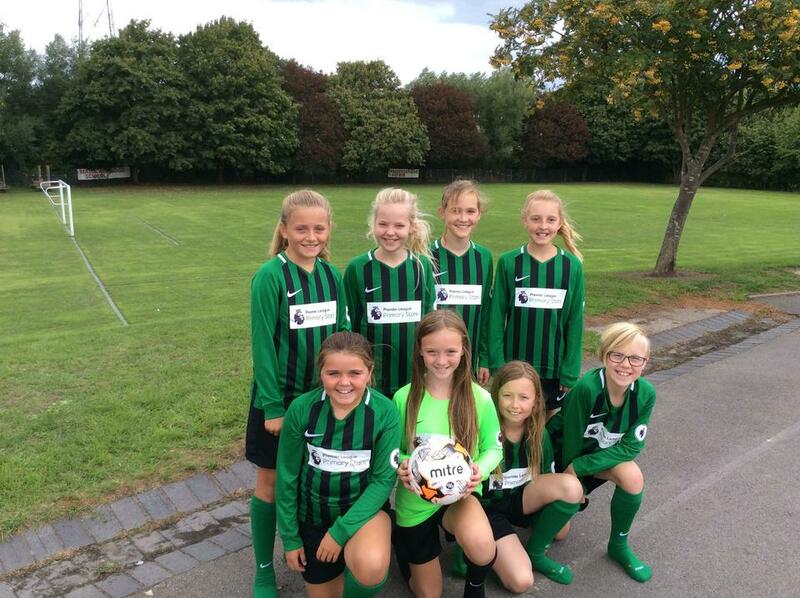 Following the huge success in their first ever season in the newly formed BHDSFA league and cup competitions, winning both league and cup in a tremendous double, we saw an advert for schools to bid for a new Premier League sponsored kit. With our boys and mixed teams and now a girls team vying for the existing kit we saw a need to get a second one. Under the terms of the bid, a new team gave us a great chance to be successful with the bid! We were thrilled to be awarded the kit, which we took delivery of yesterday. The girls were keen to try it on, even though they didn't have their boots or trainers with them. We were awarded the free Nike kit, consisting of 15 football shirts, shorts and socks, after the successful online application through the Premier League Primary Stars website. Premier League Primary Stars is available to primary schools across England and Wales and uses the appeal of the Premier League and professional football clubs to inspire girls and boys aged 5-11 to learn and be active.